Treadmills can be wonderful tools to help us stay active, slim down, and meet our fitness goals. They can also be the cause of twisted ankles, concussions, and even death. 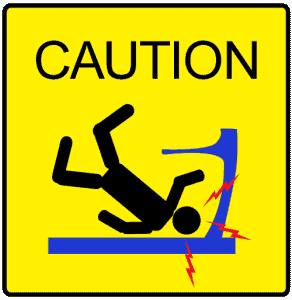 So what should you do so you are avoiding treadmill injuries in your daily workout? We consulted with experts from Johnson Fitness, maker of Horizon treadmills, to find the top tips for overall treadmill safety. Read on to learn how you can remain safe next time you hit the treadmill for a high speed, sweat-inducing, and calorie-burning workout!